Goliath Resources Limited (TSX-V: GOT) (OTCQB: GOTRF) (FSE: B4IE) is a precious metals project generator focused in the prolific Golden Triangle and surrounding area of northwestern British Columbia. It controls four highly prospective properties that include Bingo, Golddigger, Lucky Strike and Copperhead covering over 52,000 hectares. All four properties have returned widespread mineralization of high grade Gold, Silver and/or Copper from exposed bedrock in situ at surface. 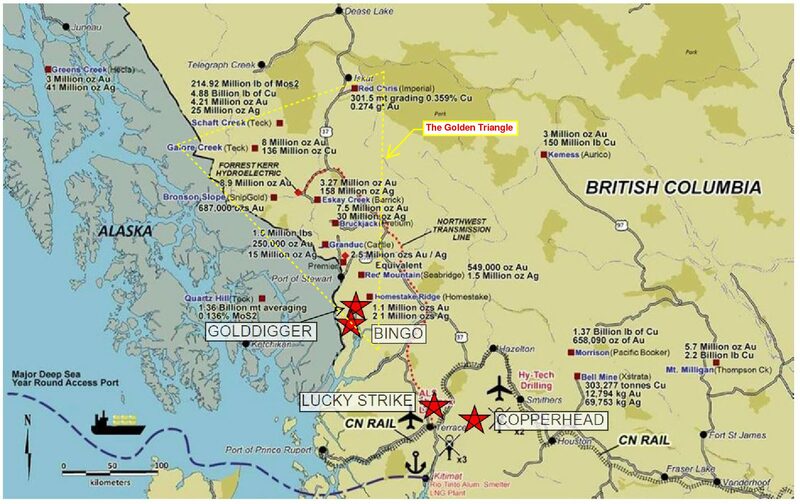 The new Lorne Creek Au-Cu-Mo Porphyry and Gold Source hydrothermal breccia discoveries at the Lucky Strike Property are scheduled to have their inaugural drill program in July 2019. In 2017, the Company purchased a 10% interest in the DSM Syndicate. This private company was formed to pool geological knowledge and expertise relating to certain properties identified in an area of northwestern British Columbia. It staked a total of six properties and is marketing these properties with the intention to option or sell the interests. This would provide Goliath with 10% of all cash and/or shares when any deals are completed.